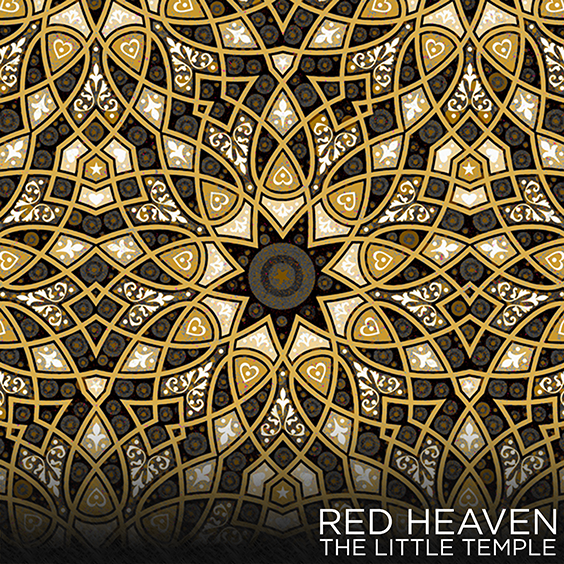 Red Heaven is delighted to announce our second EP, The Little Temple: A collection of three original songs written for the occasion of the Baha’i Holy Festival of Riḍván, 2017. Incorporating excerpts from sacred Baha’i text, The Little Temple features meditative, ambient music with a worldly flavor that will lull listeners both to reflect and maybe even inspire them to dance. Malagasy singer Bruno Randimbiarinson joins Red Heaven on The Little Temple, as does violinist Marie-Claire Saindon, bassist Tom McMahon, and percussionist Aaron Ferrera. These songs will be available for free or “pay what you want” download, and we are opening the license to encourage those who enjoy it to copy and share it with their friends and/or incorporate it into their media presentations, group meetings, or private reflection. Our other in-progress album, Echolocation, is still pressing forward in production without delay or interruption. The Little Temple is simply a little something extra as a gift from Red Heaven to you. Keep an eye on Redheaven.ca for news on The Little Temple, Echolocation, and a bunch of other stuff, too.